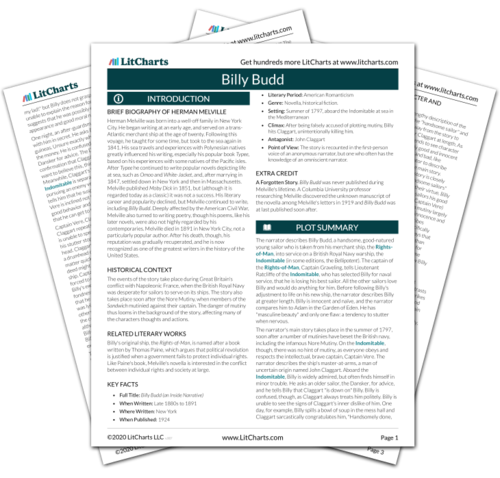 Instant downloads of all 942 LitChart PDFs (including Billy Budd). 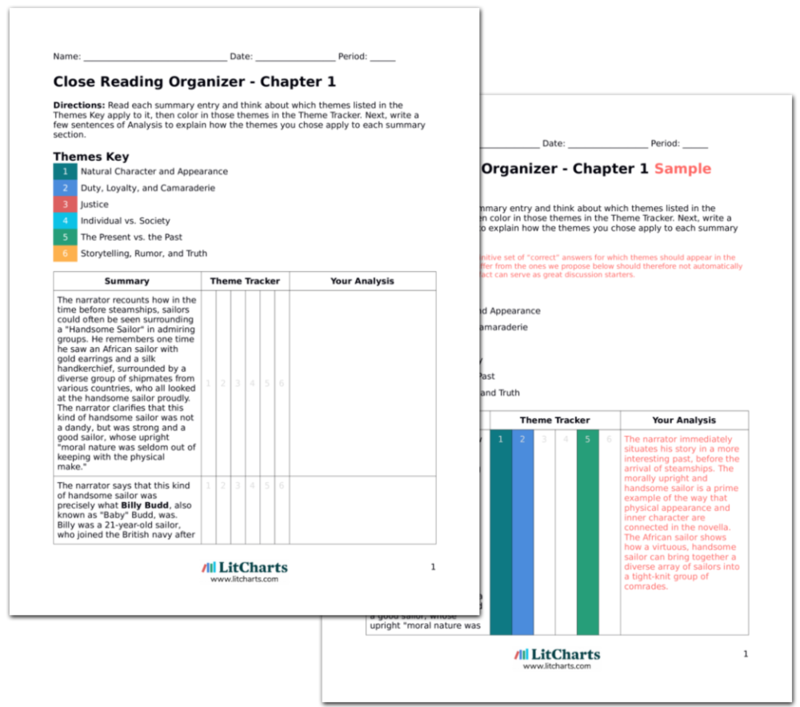 LitCharts assigns a color and icon to each theme in Billy Budd, which you can use to track the themes throughout the work. Billy Budd was reluctant to believe that Claggart disliked him. The narrator characterizes Billy as naïve, but not unintelligent. He simply lacked experience, especially in dealing with people with evil natures. According to the narrator, this is common with sailors, who as a group "are marked by juvenility" and are used to following orders without questioning them. The narrator definitively describes not only the inherent nature of Billy, but also of sailors in general. Fredericksen, Erik. "Billy Budd Chapter 17." LitCharts. LitCharts LLC, 15 Dec 2013. Web. 22 Apr 2019. Fredericksen, Erik. "Billy Budd Chapter 17." LitCharts LLC, December 15, 2013. Retrieved April 22, 2019. https://www.litcharts.com/lit/billy-budd/chapter-17.